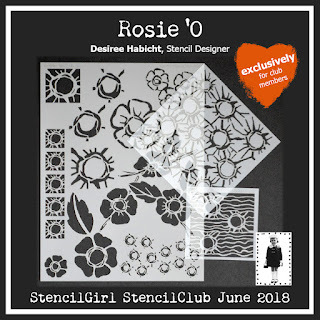 StencilGirl Talk: StencilClub Voices at Play with Rosie O! StencilClub Voices at Play with Rosie O! Can't stop playing is the action in the studios of this month's StencilClub Voices! 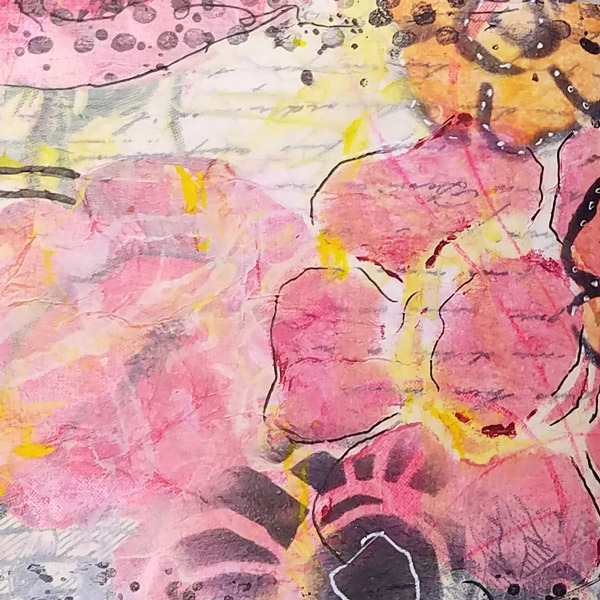 We painted, art journaled, and carded our way with Rosie O, the set Desiree Habicht created exclusively for StencilClub. I can't wait for you to see what Pamela, Kim, and Peg made! Pam writes: "These stencils are a great match for watercolors!" 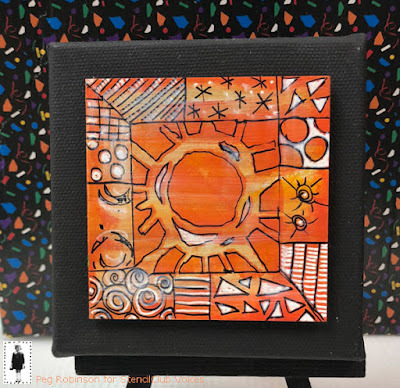 "I just couldn't stop playing so I created a second project in my journal. The stencils paired up well with a napkin I had. On June 9th and 10th you can discover posts about these two projects on my blog." 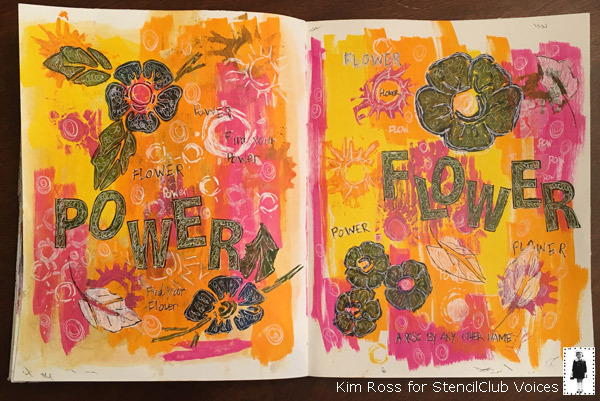 Kim writes, "We had rain the day I decided to stay indoors and played with Desiree Habicht’s June StencilClub set. 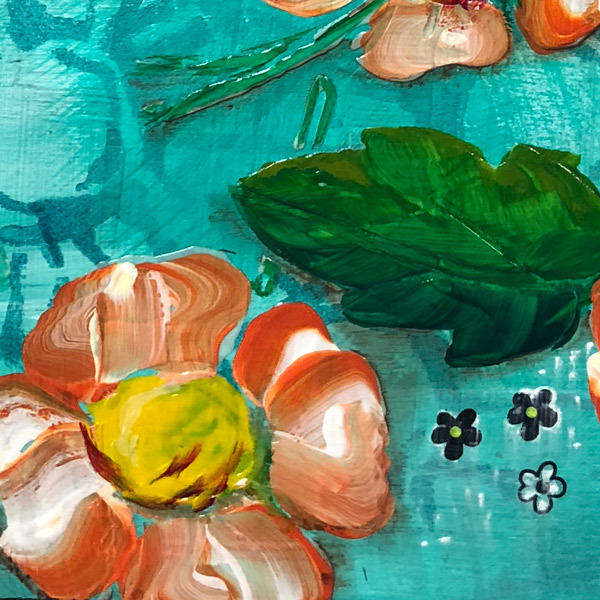 Rosie O is a terrific collection, and I put it through some serious testing, using everything from molding paste to paint markers to jelly pen." 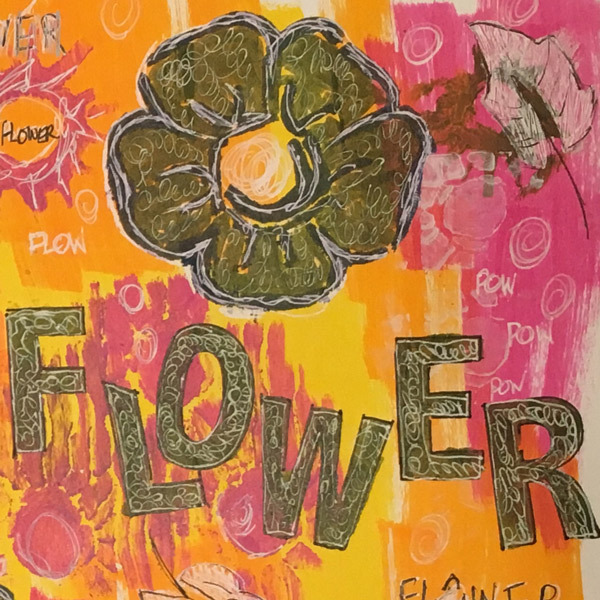 "For this page spread, the last of my first art journal, I used Desiree’s stencils with my favorite color palette, markers and pens. 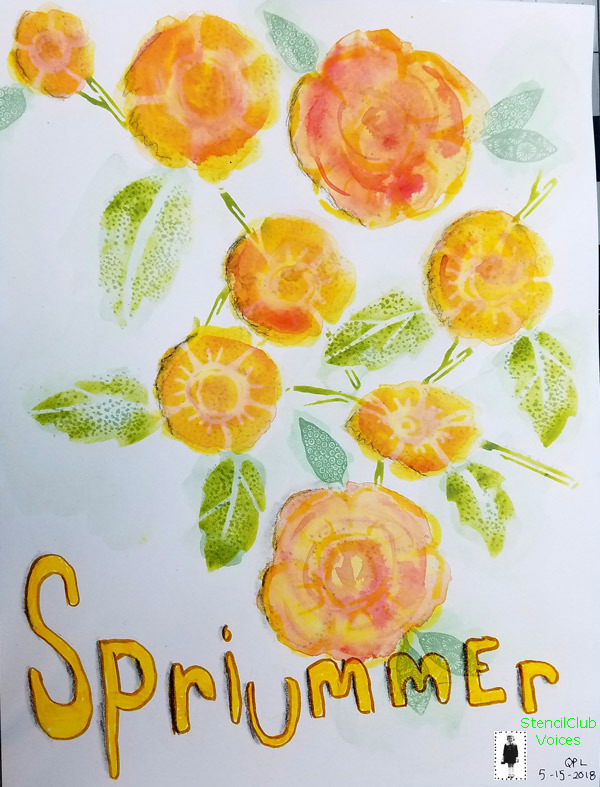 It was a fun way to spend a rainy day and I can’t wait to experiment further with these pretty flower and swirly sunny shapes. 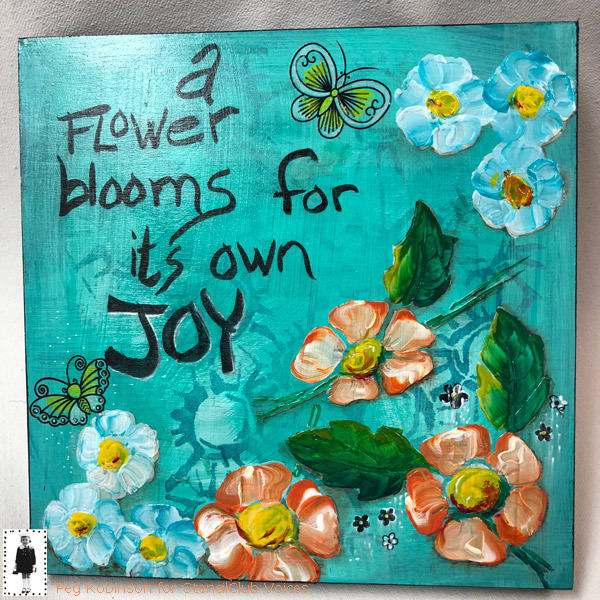 Thanks, Desiree, for June’s excellent stencils!" If you'd like to see how Peg created this artwork, you can check out her video. I must repeat, our StencilClub Voices brought their a-games. Pamela and Peg even found the time to blog! They certainly inspire me. Pamela was right, these stencils do lend themselves to watercolors. I have a big box of ephemera and I wanted to see if I could find pieces, in my mind anyway, that matched up with Desiree's Rosie O set. 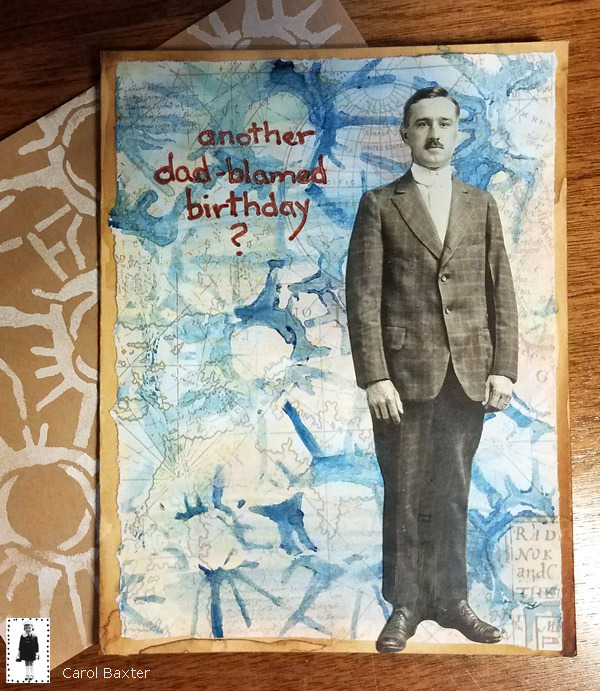 I think I am "on the beam" with this vintage looking birthday card. I am squawking happily over the parrot card. 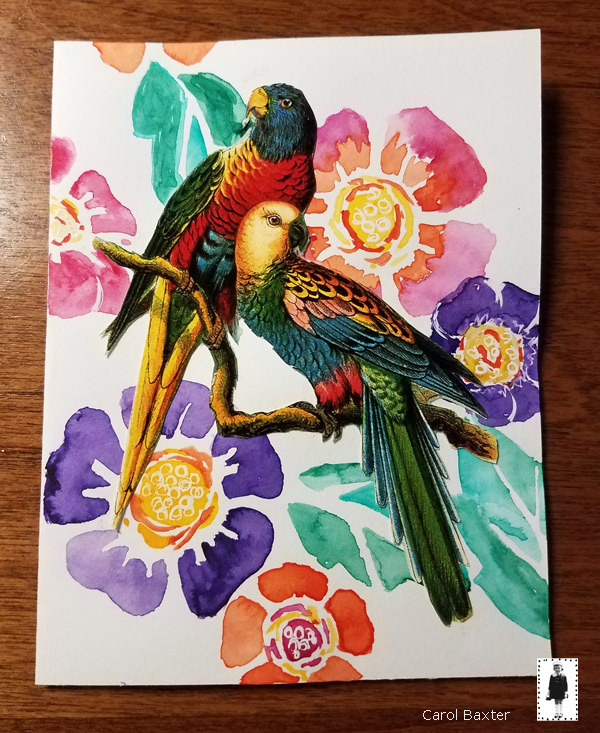 Watercolors are fun! If you would like to watch the designer's reveal, you can get to it HERE. 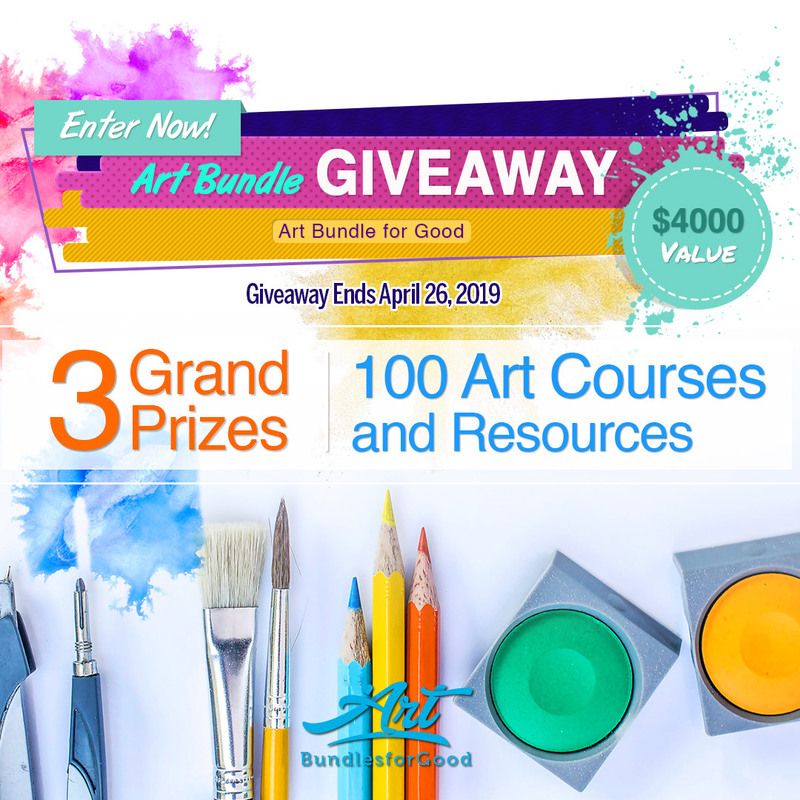 If joining StencilClub is in your future, kindly click the pic below. These stencils are so versatile. Thanks again for allowing me to be part of stencil girl voices. I made my blog post and video live today! Thanks Stencil Girl for having me as a voice! Love this art and can’t wait to get the stencils!